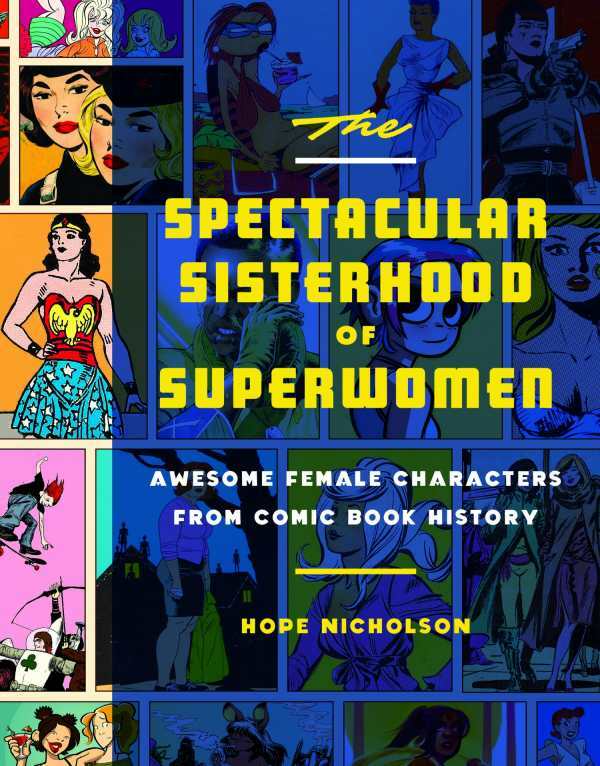 The characterizations of women in comics have come a long way since the 1930s, which is where Hope Nicholson begins her decade-by-decade review of famous, representative, quirky, or otherwise notable heroines in her thoroughly enjoyable book The Spectacular Sisterhood of Superwomen. Nearly a century is a long time to cover, so Nicholson doesn’t spend too long analyzing any one character—even Wonder Woman, Supergirl, and Batgirl, despite being named “Hero of the Decade” of the 1940s, ’50s, and ‘60s, respectively, garner only a couple of pages of commentary apiece. It’s a good choice, allowing Nicholson to cover a greater number of lesser-known characters, which she does in a breezy, conversational style (ripe with parenthetical notes and explanations, not to mention reprinted art), that’s immensely fun to read. Though better-known and more historically significant characters are also discussed, unearthed here are many characters who might otherwise fade into obscurity, some having appeared in a total of only one or two issues: Nurse Helen Grant, Zelda the Witch, Vanity, and American Woman are just some of the names that will likely prove unfamiliar to even longtime comics fans. Fashions and fads are all represented in their respective decades, but the overall trend, easily seen from Nicholson’s twenty-first-century selections, is toward more diversity in comics characters, probably a happy analogue to an increase in female creators.